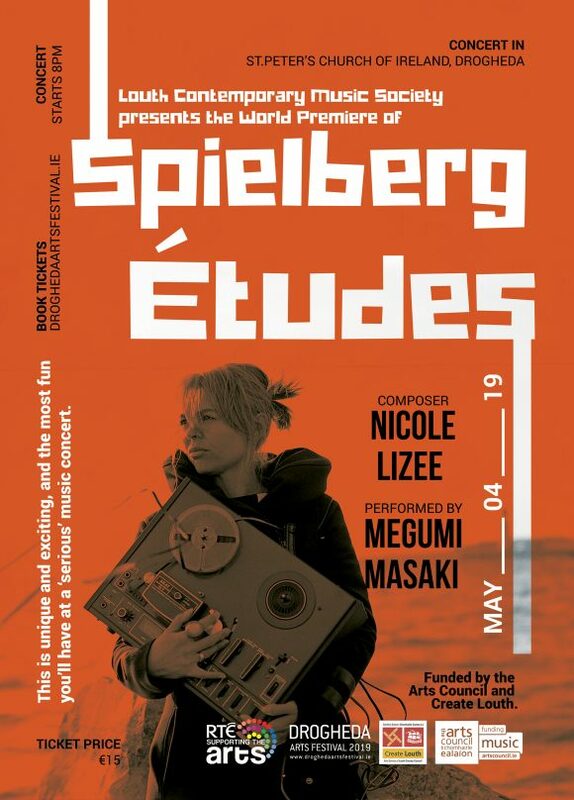 The World Premiere of Nicole Lizee’s Spielberg Études. Saturday 4 May 2019 at 8pm in St.Peter’s Church of Ireland Drogheda. Well-known film clips keep breaking up and breaking down. There’s the sound of gentle damage in the air. And a pianist is trying to keep going, make it all hang together, carry on regardful. Welcome to the strange and haunting world of the Canadian composer Nicole Lizée, whose work will be presented at St Peter’s Church of Ireland, Drogheda, on Saturday 4 May 2019 at 8 p.m. Performing at the piano will be Megumi Masaki, also from Canada and a musician who has been working closely with the composer throughout the last decade. The centrepiece of the programme will be a brand new work referring to films by Steven Spielberg, commissioned by the Louth Contemporary Music Society with funds from the Arts Council. Ms Masaki will also perform in two earlier compositions with which she has been associated from the beginning: Hitchcock Etudes (giving a new twist to Psycho) and Kubrick Etudes. In all these pieces Ms. Masaki’s electric and intimately sensitive musicianship will be meshing with film excerpts shown on screen, the original soundtracks and other recorded material. This is unique and exciting, and the most fun you’ll have at a ‘serious’ music concert.